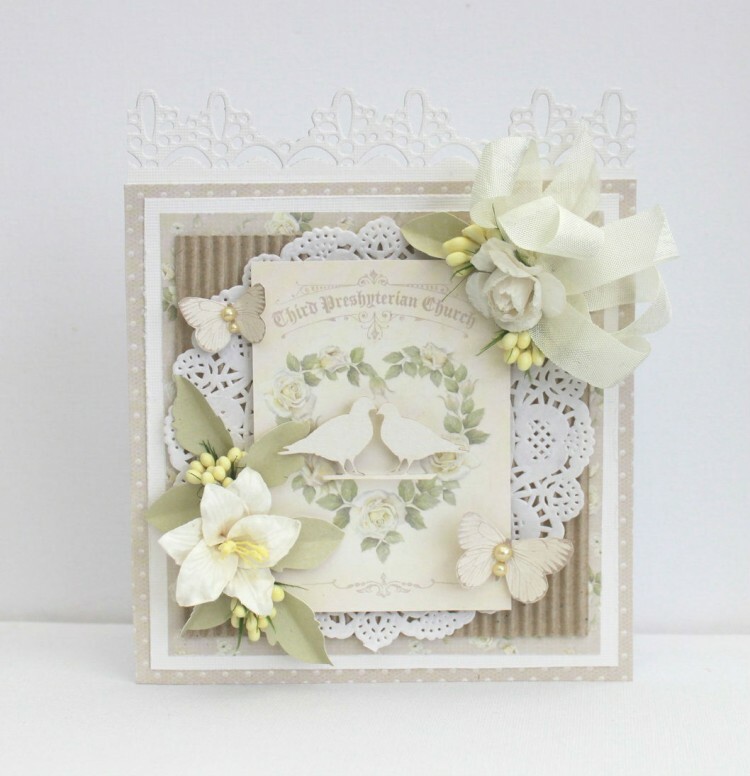 This is a card made with Pion Design’s new serie Vintage Wedding. It´s so pretty. The soft tones is perfect for weddings. Johanna, this card is so lovely especially with the sweet butterflies. I love to use them in my projects and they add so much! Love the colors you use, so sweet and soft, along with the sweet flowers!